Our Energy Guarantee is defined as the amount of energy that is delivered to your premises in pellet form before it is burnt in your boiler (most pellet boilers are around 85% efficient). We can confidently commit to this because we have rigorous quality and testing procedures entrenched in our manufacturing process. The CV of the pellets is measured every month by an independant lab using the industry standard burn test EN14961 . 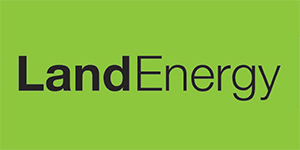 We publish these results within the news section of our web site www.Land-energy.com. Our commercial pellet offer is designed around the demands of your business. We offer long-term, fixed-price contracts; we can do this because all the timber we use is UK-sourced from long term harvesting plans from sustainable forests, which means we are unaffected by currency fluctuations and import tariffs. By having this end to end UK supply chain, we can ensure the consistency of quality and supply. Finally, a competitive price per kilowatt hour of heat. To find out more about us and our commercial contacts please contact 01465 716025.